Removes Everyday Odors and Fragrances. Traditional cleaning products are designed to mask the odors with perfume and fragrances and attempting to remove stubborn odors with home remedies often require a lot of time and effort and may stain or damage your items if you are not careful. Garbage Cans and Diaper Pails are notorious for holding onto the odors from its contents long after its been emptied. 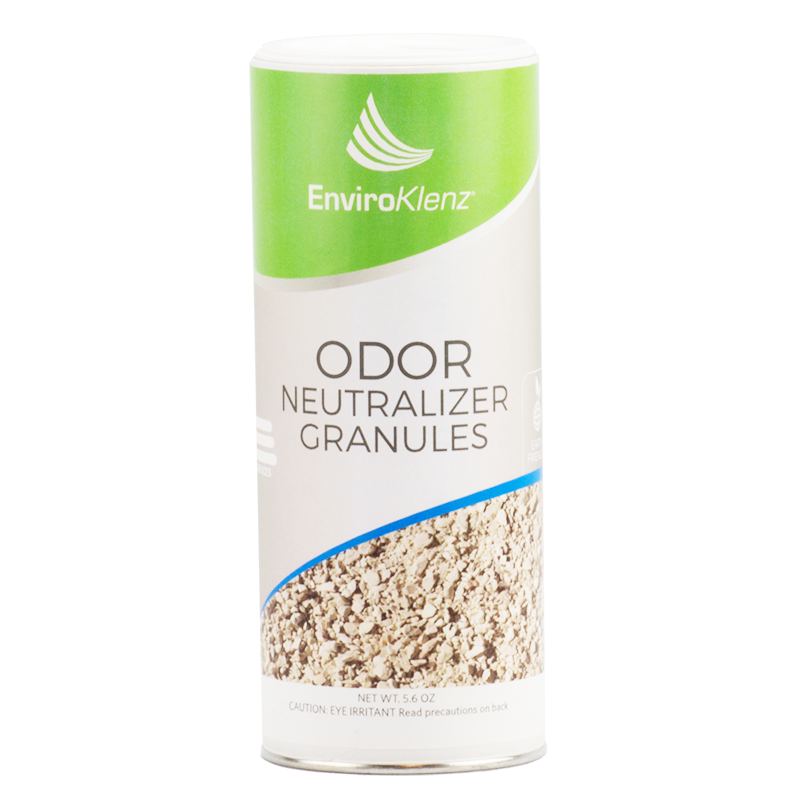 Use either the Everyday Odor Eliminator or the Odor Neutralizer Granules to remove the odors from these containers without the use of masking agents or harmful chemicals. Often odors and fragrance are transferred onto your furniture or bedding from pets, guest, or cleaning products. EnviroKlenz Everyday Odor Eliminator was designed to help you remove and neutralize odors from a variety of surfaces without the fear of using harsh chemicals, fragrances. or damaging your items. New wood flooring typically introduces new chemical odors into your home or office. With the EnviroKlenz Everyday Odor Eliminator, you can combat these new floor smells. And for fresh spills on your wood floor, try the Odor Neutralizer Granules for quick and odor-free cleanup. Fresh spills on your carpet or rug can be easily cleaned up with the Odor Neutralizer Granules. 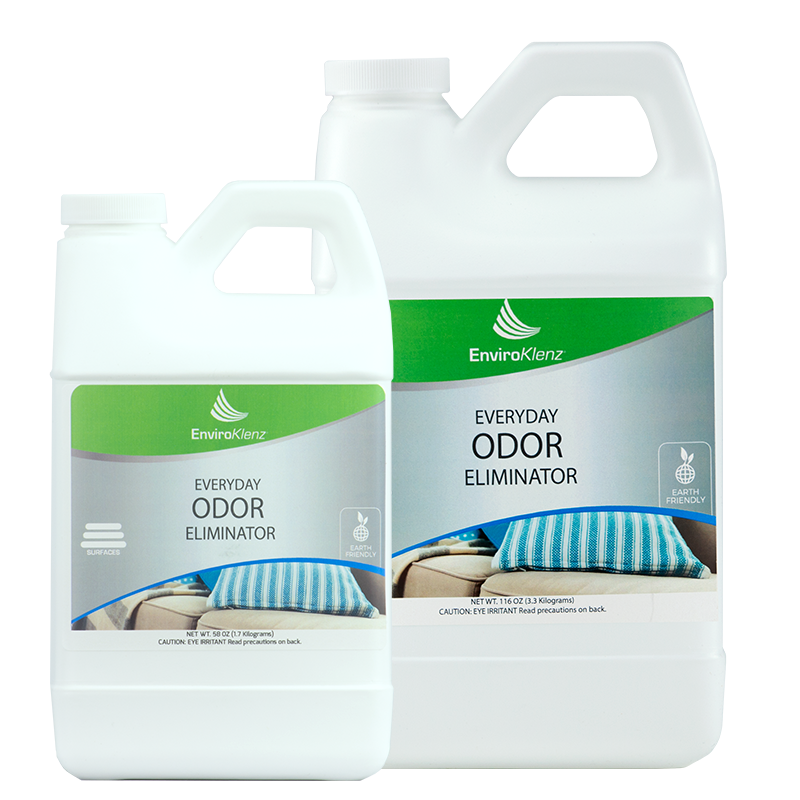 You can also remove embedded fragrances and odors that come with new and used carpet using the Everyday Odor Eliminator. EnviroKlenz Products may also be used to remove fragrances and odors from the water-safe interior of your vehicle. Quickly clean up spills and accidents in your car with the Odor Neutralizer Granules. You can also safely remove new car odors and fragrances with the Everyday Odor Eliminator. The EnviroKlenz Everyday Odor Eliminator and the Odor Neutralizer Granules are ideal for use on any water-safe surface. From new mattress smell to soiled concrete, these products are essential to have on hand for life’s everyday messes and odors. “I used it on two new 7 x 10 rugs. It took all the chemical smell out. either the rugs or to the EnviroKlenz itself.